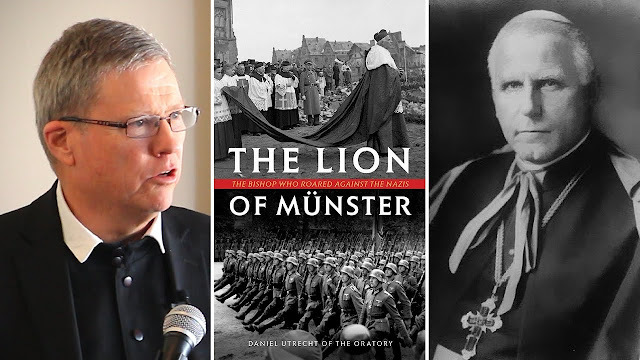 In this, the definitive English language biography of the great Lion of Münster, readers will encounter the young von Galen as helearns the Catholic faith and love of the fatherland from his family, members of the German aristocracy. A nobleman, a “prince” of his people and of his Church, the boy grew into a man, a six-and-a-half-foot tall giant of a man, who, though he loved his homeland, loved God, His Church and His law even more; for he knew that calling his homeland back to the ways of God is the one way in which a bishop can best demonstrate that love for the people under his spiritual care. And so, in three magnificent sermons and countless other speeches, communiques and gestures, the Lion roared. Father Daniel Utrecht is a priest of the Oratory of St Philip Neri, Toronto. He is a graduate of the University of Dallas (B.A., Philosophy), and the University of Toronto (Ph.D., philosophy). He joined the Oratory in 1980 and was ordained to the priesthood in 1985. Father teaches in St Philip's Seminary, directed by the Fathers of the Oratory, and is Pastor of St Vincent de Paul Church in Toronto. Previous publications include a translation of a biography of St Philip Neri, Philip Neri: The Fire of Joy by Paul Türks.